When it comes to building for a phone specifically for a carrier, HTC is no stranger to a custom job. 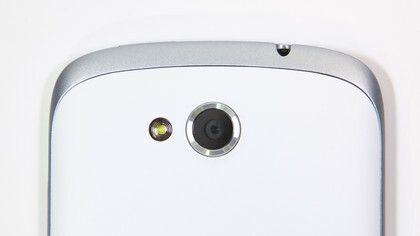 Over the last year it’s built the HTC One X and HTC One X+ for AT&T and the Droid DNA for Verizon. Both phones are quality quad-core devices with gorgeous screens, and the premium price tags that such hardware entails. 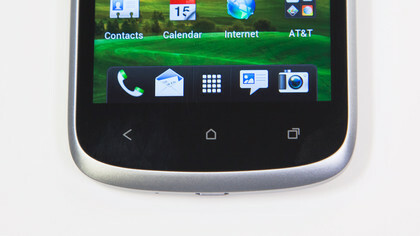 For AT&T customers not ready to spend big for a flagship device, there’s the HTC One VX. With a dual-core processor and lower resolution screen, it’s decidedly mid-range but essentially free with two year contract. Currently Amazon is selling the white and silver model for a penny, and there’s a handsome red and gray model priced just as cheaply, and sold through AT&T’s website. Off contract you’ll pay $400. The One VX offers some of the best of HTC design, like Beats Audio and a bright, clear display, plus a few things HTC doesn’t usually offer, like a removable back with expandable microSD storage and an all day battery. Other than occasional dual-core sluggishness, its aging Android 4.0: Ice Cream Sandwich operating system and a few in-app quirks, the only thing that really hurts the One VX are comparisons to other phones just one notch up the pricing pyramid. 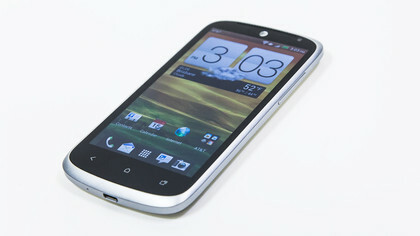 Consider this: if you’re signing up for two years with AT&T, the far zippier HTC One X is just $100 away, the One X+ just $200. Of course, the mediocre battery life of those devices mean that it’s judgement call as to which phone is better for you. As far as free phones go, the One VX is among the best being given away on AT&T. It’s decently capable despite aging internals and software, and a big screen, removable storage and Beats Audio make it surprisingly media savvy for a mid-range device. Just be prepared to deal with a few performance quirks, and don’t expect an upgrade to Android 4.1: Jelly Bean anytime soon. 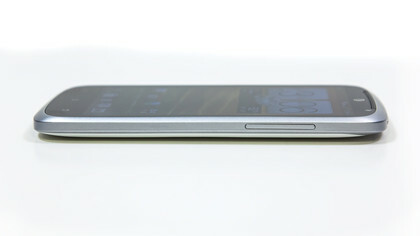 At 5.26 x 2.66 x 0.36-inches, the HTC One VX is tall for a mid-range device, at least when compared with something like the Droid Razr M. Its close in size to its more expensive siblings, the HTC One X and One X+. It’s not an objectionable size though, since it makes room for a 4.5-inch display Super LCD display, bordered by silver (or grey) trim. At 4.4 ounces it’s a nice balanced weight that you can forget about in your pocket. Hold the One VX in your hand and it’s unmistakably plastic. Smooth, pleasant and somewhat grippy plastic, but plastic nonetheless. There’s also the fact that most of the phone’s weight comes from its screen, giving the body a somewhat hollow and cheap feeling. It’s very much a "get what you pay for" situation. The build feels somewhere between premium and budget, which is exactly what the One VX is, a mid-range phone. 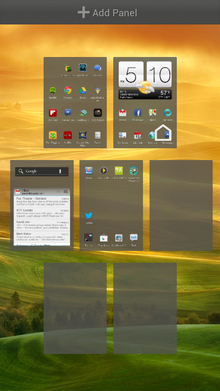 Below the screen are the three capacitive buttons typical of Android phones: back, home and recent apps. Touching them triggers a springy haptic feedback response. 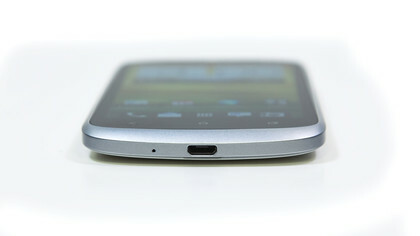 Below that is another standard Android touch, a mini-USB charging port. At the top of the phone you’ll find some branding: a globe logo to remind you that the One VX is an AT&T exclusive. 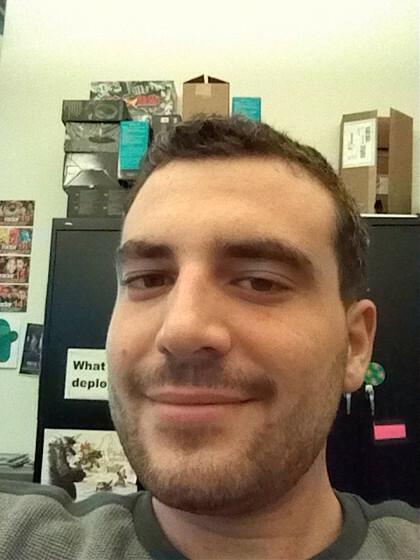 To the right of the logo you’ll find a front-facing camera with a very basic 640×480 VGA resolution. The VX’s headphone jack is located on the top left, with a power/lock button to its right. 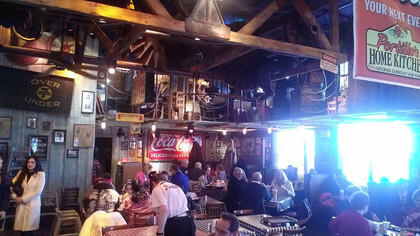 A volume rocker is found on the right side. This brings us to one of our issues with the VX’s design: the buttons are too flat. They are almost completely flush with the body of the phone, and can be hard to find when you’re reaching into your pocket to adjust the phone’s volume. They also require an awfully firm press and don’t provide much give. 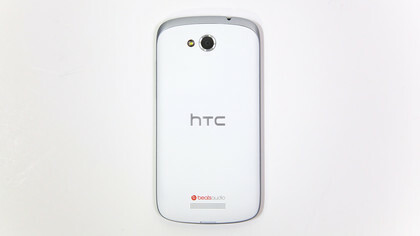 The back of the phone is an elegant white (or burnt orange), and it’s actually removable, unlike most HTC devices. On the rear there’s a lense for the VX’s camera, which has a rather fair 5-megapixel count. There’s also an LED flash. As we mentioned, the phone’s back comes off. 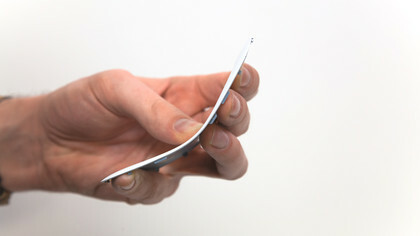 It’s the sort of bendy and surprisingly durable plastic backing that you’ll find on the Samsung Galaxy S3 and Galaxy Note 2. 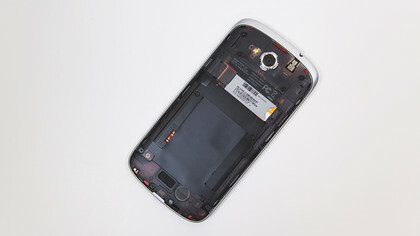 The removable backing gives you access to a micro-SIM slot and microSD port. The 1800 mAh battery, however, is not removable, but we never had trouble getting through the day on a single charge – more on that in the Battery section of this review. 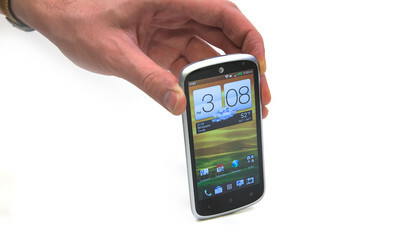 HTC phones like the HTC One X, HTC One X+ and HTC Droid DNA have become known for their stellar screens. While you won’t be getting an HD display on the modestly priced HTC One VX, what you’re getting isn’t too bad either. 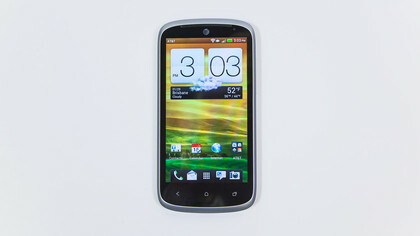 The One VX packs a 4.5-inch screen, which is on the larger end for the mid-range price point. It clocks in at a resolution of 540 x 960, with a density of 245 pixels per inch. That’s on par for its price tag, matching up with the similarly specced Droid Razr M over on Verizon. Despite the relatively low resolution, streaming video comes through clearly, with little noticeable pixelation. The screen did justice to the surprisingly good trailer for "Fast & Furious 6." We could spot a sheen coming off Vin Diesel’s immaculately hairless head, and it took a cargo plane erupting into a display-filling fireball to notice some lack-of-HD distortion. The screen is clear and bright, but sometimes too bright. The auto-brightness features, which is supposed to keep the display from searing your retinas, doesn’t do its job. In a dark bedroom or bar, the One VX is far too bright, it’s genuinely painful on the eyes. Manual brightness adjustment provides a fix, but it’s an annoyance consumers shouldn’t have to deal with. 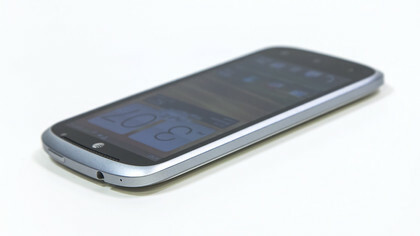 The HTC One VX runs Android 4.0: Ice Cream Sandwich. Being a year or two behind OS versions is not unusual for a mid-range handset such as the One VX, but if you’ve experienced Android 4.1: Jelly Bean, it’s going to feel a tad creaky. 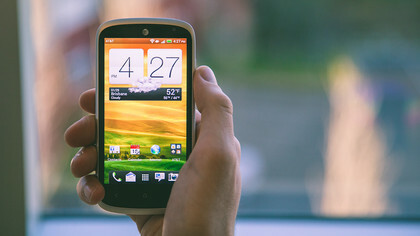 While HTC has released two Jelly Bean devices, the HTC One X+ on AT&T and the Droid DNA on Verizon, none of its ICS devices have made the jump to JB, even the capable HTC One X. The lack of support here is frankly ridiculous, the One X is quad-core, after all, and HTC devices in Canadian and Korean markets have all gotten the bump up. It’s especially frustrating since AT&T keeps blowing its own deadlines. That being said, don’t expect to see a JB Update on your HTC One VX anytime soon. Ice Cream Sandwich has gotten slightly stale since its release in 2011, but it’s still capable in all the basic functions we’ve come to expect from our smartphones. The experience is built around seven panels that can be decked out with the apps and widgets of your choosing. App icons can be combined to form space-saving folders, and some widgets, like a calendar or email inbox, can be resized to adjust the amount of information displayed. A high number of active widgets and apps can have an adverse effect on battery life and performance, but we went about our days testing the One VX with over twenty app icons and two widgets, a Gmail inbox and HTC’s Weather Clock, without any noticeable hit to the phone’s responsiveness. We also made through the day easily on a single charge. More information on this in the Performance and Battery Life sections of this review. ICS also has voice commands that lets you order your One VX around. You can ask it to send texts, search Google Maps, make calls, browse the web, dictate text input and other basic functions. To use voice commands you simply touch the microphone on the Google Search Bar. While most Android phones have a search bar on the home screen, HTC has moved it one screen to the right to make room for its large Weather Clock, which defaults to the home screen. This can all be rearranged, of course. The ICS voice commands are a nice effort saver for composing long messages, but pale in comparison to Siri on iOS 6 or Google Now on a JB phone. We had to speak slowly with clearer than ordinary enunciation to get it to understand. The One VX’s microphone also has a hard time taking dictation anywhere that was moderately noisy. 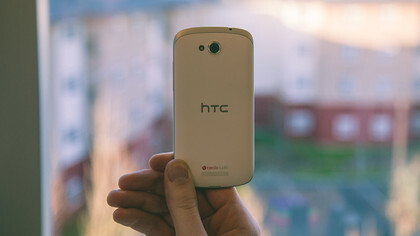 HTC routinely adds its own layer of flavor to ICS that it calls Sense 4.1. You’ll notice it from the moment you first wake the phone. The lock screen features a metal ring, dragging it upwards unlocks the and sends you to the home screen. From the lock screen, the four apps on the dock can be accessed directly by pulling them into the ring. This way you can, for example, jump right into messaging or the camera to return a text or snap a quick pic. The One VX limits you to four apps of your choice on the dock, and they’ll each be accessible from the lock screen. 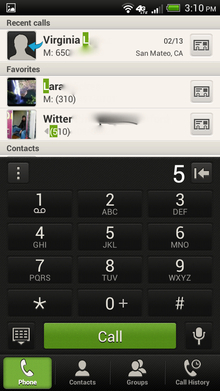 The defaults are the dialer, email, messages and camera. You can also stack apps here to create folders, but that can be rather cumbersome for the dock, an area where you should be quickly accessing your most frequently used apps. 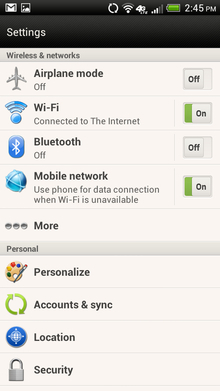 HTC’s Sense UI also tweaks the look of the recent apps function. Activated with the rightmost capacitive button at the bottom of the handset, it shows all the programs you’re currently running, allowing you to easily switch between. This is a basic function of Android, but Sense changes the way they are displayed. It shows them as larger rectangular preview windows. You scroll through the side to side, rather than up and down, which is the ICS default. You can also shut down apps by flicking them up. We’re not big fans of this setup. It feels like a poor use of screen space, and sliding through the apps is a bit slippery, and less accurate than with pure ICS, or, say, Motorola’s superior UI. 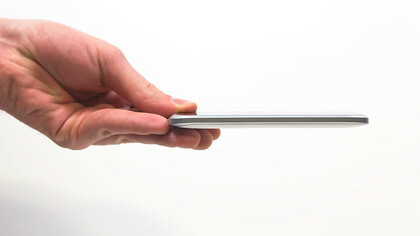 We also have a bone to pick with HTC’s massive clocks. They’re iconic and offer essential information, the time plus weather or social updates, but take up an awful lot of space to do so. We wouldn’t blame you if you banished it from your One VX’s home screen. Overall, we’re just not fans of Sense’s aesthetic. It’s rather cheesy to be honest. Maybe it’s just the Airplane Mode icon, but some of the symbols just make us think airplane safety card. 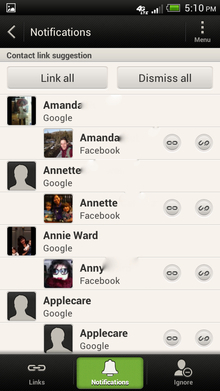 However, Sense does do great things with your address book, as we’ll get into in the Contacts and Calling section. 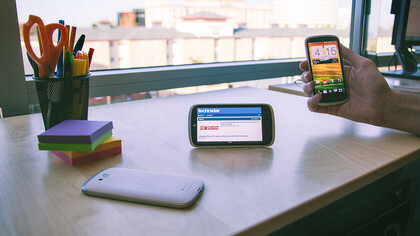 As we’ve mentioned, most flagship devices, such as the Samsung Galaxy S3 and HTC’s own One X+ have moved up to four cores. However, there are heavy hitters like the Motorola Droid Razr Maxx HD and the iPhone 5 that are still getting it done with dual cores, but they each pack more memory than the One VX’s low-end 1GB. Still, the HTC One VX does pretty well with what it has. 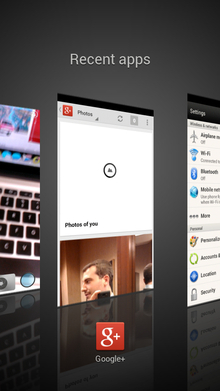 Even when loaded with a lot of apps and a few widgets, you can zip across the seven ICS home screens with ease. It takes several active programs, or a resource sucker like a game, to make the One VX become noticeably sluggish. Background downloads and installations will also bog it down. With gaming, the One VX performs decently. Games of moderate intensity like the Plants versus Zombies take a bit to load initially, but then perform well. More powerful titles like Asphalt 7 have a long load, and you’ll experience some hiccups while playing, especially if Google Play decides to update an app in the background. The One VX’s dual-core performs basic functions like navigating the home screen and browsing the web very well, but when you start to stack multiple applications, you’ll detect straining. With a lot of apps filling the VX’s memory, newly opened programs are often unresponsive for a few seconds, or they can get stuttery. It’s not a deal breaker, except when you consider that a quad-core device like the One X is only $100 away, with two-year contract price. Using the recent apps function to dump unwanted programs helps a lot, but it’s not something you’ll have to be concerned with on a more powerful phone. 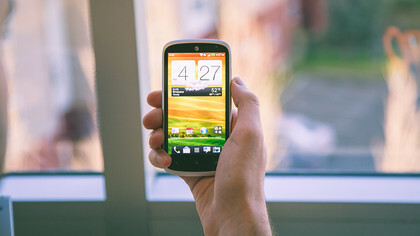 While the HTC One VX performs well for a free phone, we’d say that when you have the opportunity for a cheap upgrade, spend the extra cash for a more powerful device, if you can afford it. However, the one place where the One VX beats out its more powerful brethren is in battery life. 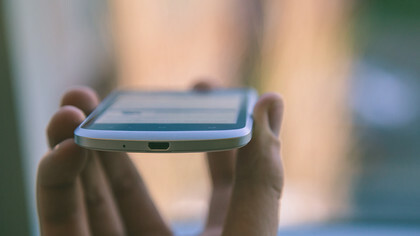 While the HTC One X+ and One X are powerful, media friendly devices, their quad-core brains and HD screens have them struggling to finish the day on one charge. 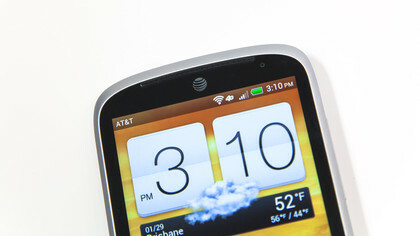 The HTC One VX has no such trouble, even when using 4G LTE data. It’s no battery behemoth like the Droid Razr HD or Droid Razr Maxx HD, but in all our time testing the phone, we never had to charge it before the end of the day, providing we started out with a full charge. That’s not to say we didn’t come close. While a day of texting, calls, web browsing and light video streaming generally left us in the 40-30% zone, a long day of frequent use, plus gaming and Netflix had us in dire need of a charge around 11 pm. We’d call that solid performance, especially given the less-than-diehard users the One VX is likely to attract. If you don’t plan to live on your smartphone and want one that will make it through the day without an afternoon trip to the charger, the One VX is not a bad option. Battery life is the only category where it truly one-ups its bigger siblings. This is a good thing, since the One VX’s 1800 mAh cell is non-removable, and therefore can’t be swapped for a fresh one out in the field. While we’ve dissed some of HTC’s aesthetic choices with Sense UI, it’s top-notch as far as keeping your rolodex neat (Remember those? Nope, neither do we). This is Android 4.0: Ice Cream Sandwich, so you can easily import your contacts from standard social sources like Gmail, Facebook, Twitter, or Outlook. Sense UI then does the grunt work of merging your friend’s info from all those different sources. Soon everyone you know has a neat little entry stamped with a profile picture. Annoying duplicate contacts are a rare occurrence. You can further sort your friends into groups. Friends, family and co-workers are there to start, and you can create your own custom lists as well. It’s then easy to send a mass text or email to that group. A log of imported contacts is also kept, making it easy to track changes and revert back to an older version of your address book, should you create some sort of disaster. It’s very nicely executed. We’d say it’s one of our favorite things on the software side of HTC phones, and certainly a standout feature of Sense UI. So the One VX runs a tight ship as far as address books go, but what about making regular old phone calls? We’re happy to say it does that just as simply and neatly. The One VX is exclusive to AT&T, and we tested the phone in the San Francisco Bay Area and while traveling in the Chicagoland area. Throughout that time, we never had a single dropped call, and the only time when service became unavailable was when traveling via underground train. Back when it was the exclusive carrier for the iPhone, AT&T caught a lot of flack for having an unreliable network. Dropped calls and low service areas were common, but a lot has changed since the carrier went 4G LTE. 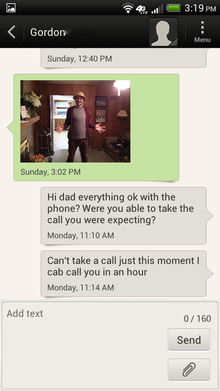 Our experience with call service on the One VX was impeccable. Calls were easy to hear and always connected. The quality of the voice over the line was tinny, but there was no static, and we never had trouble understanding callers. The phone’s speaker was easy to hear without maxing out the volume, and the microphone did an excellent job of removing background noise. We made several calls standing near busy intersections, and our friends on the line heard a minimal amount of traffic noise. SMS and MMS text messages are handled through the aptly named Messages app. Conversations are arranged with the typical back and forth look of an instant message conversation, using the profile pictures assembled in Contacts. There’s also a simple paper clip button for attaching pictures and other files to messages. One odd bug the One VX exhibited was doubling of incoming text messages. Texts we received from friends would sometimes appear twice. Occasionally the duplicate would show up immediately, sometimes it would be delayed a few minutes but would appear with the same time signature as its twin. It’s unclear whether this has to do with the AT&T’s service or the One VX, but since the phone is a carrier exclusive, they’re one and the same, really. Weird, but nothing more than annoying quirk, really. Email duties default to the Mail app, but since this is Android 4.0: Ice Cream Sandwich, a separate Gmail app is included as well. Both provide convenient management for multiple inboxes, and play very nice with the information assembled in the Contacts app. ICS also features nice mail widgets, which let you access inboxes with custom parameters right from a home screen. HTC’s Sense UI keyboard has good predictive text that nicely supports the typing experience on the One VX. With basic words and phrases, it generally guesses what you want within a few letters. For less common vocabulary, it maintains a running personal dictionary which you can directly access and manage, if you like. Overall, we’d put the keyboard on the One VX above the standard ICS keyboard, but below third-party powerhouses like SwiftKey. The One VX’s browser is called Internet. It’s snappy, and clean looking, other than a dock of social functions found at the bottom. It does an especially nice job resizing text and images when you zoom in and out. 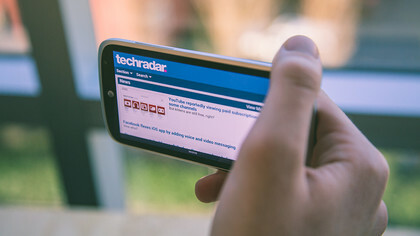 Using the default browser, the Google homepage generally load in three seconds or less, and the TechRadar homepage loaded in around five. That dock of social buttons at the bottom is a questionable design choice. Though it generally hides when not in use, when it pops up it wastes precious screen space. Often times the buttons to tweet and Facebook ‘like’ articles failed to perform. That quickly drove us into the arms of our favorite browser Chrome. This is Android, after all, you’re not locked into using the default Internet browser. It’s easy to change the default web surfing program to whatever you like. Chrome’s support for mobile tabbed browsing is very good, making it easy to open a few links in separate tabs and start reading through them one by one. Just like HTC’s browser, it does a fine job formatting sites for a phone screen, but it’s free from the annoying social bar that pops up at the bottom of the One VX’s Internet. 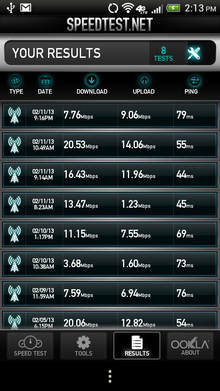 As far as data service goes, we had a reliable though not always blazing fast experience on AT&T’s 4G LTE network. While we never struggled for a signal, we often found ourselves on the slower 4G, rather than 4G LTE. We tested the One VX in the San Francisco Bay Area and while traveling in the Chicagoland area. When it comes to megabytes per second, our data speeds were usually in the mid to high teens. The occasional low service area would yield single digit speeds. The highest we ever got was 20 mbps. As mentioned, we often found ourselves bouncing between 4G and 4G LTE, but we never ended up on 3G or Edge, nor did we struggle to maintain a data connection. AT&T’s data service isn’t always blazing fast, meaning you won’t always have incredible downloads and streaming services, but you’ll never have a problem browsing the web or getting your email. One of the best things about having an Android phone, even a dated Android 4.0: Ice Cream Sandwich phone, is full Google Maps integration. This means that all your location searches, be it in Maps or via voice commands, will be querying Google’s massive 1984-esque databases. Yes, Google Maps is available on iOS 6 and on Windows Phone 8 via the mobile site, but remember the "full integration" part. iPhone 5 users, your location-based Siri queries will be answered by her dumb buddy Apple Maps, even if you download that beautiful third-party Google Maps app. 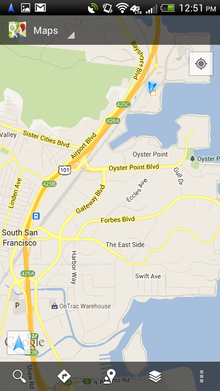 WP8 users have it the worst, they have to go use Google Maps via their browsers. So be thankful for Google Maps and the navigational goodness it provides. Thanks to it, the One VX offers location photos, Street View, address and contact info, plus turn-by-turn spoken directions all in one place. As usual, carrier AT&T has jammed its superfluous AT&T Navigator onto the phone. 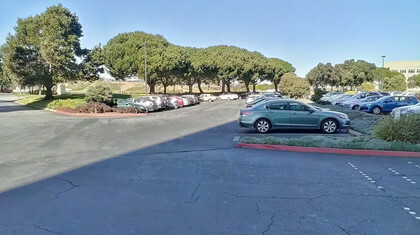 Its presence is somewhat mystifying, since it offers a service inferior to that of the free Google Maps, and has the audacity to ask for $9.99 for its less detailed maps and choppy voice support. Just ignore it. Since we’re in Android territory, the One VX has access to Google Play, the main competitor to iTunes and App Store. It offers books, magazines, music, movies and apps at rates competitive to Apple’s storefront. While the One VX’s screen is just 540 x 960, not HD, it doesn’t do a bad job displaying videos. The screen is bright (sometimes too bright, due to bad auto-brightness), clear, and a decent size. It’s not at all a bad way to watch some YouTube or Netflix, but we’d be surprised if it motivated anyone to pony up for an HD copy of "Prometheus." The One VX does an even better job with music, thanks to Beats Audio. Based on our experience, the mix provided by Beats is pretty much equivocal to the audio support on the iPhone 5. It’s not amazing, but as far as smartphones go, HTC devices are among the best stewards for your music collection, whether it’s through Google Play, Spotify or what have you. Also, the extra 32GB you can add to the One VX via microSD card makes a capable mobile music player. 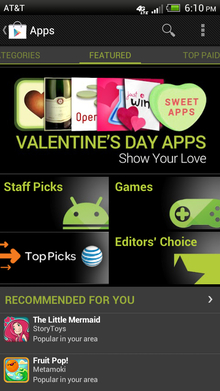 The Google Play Store offers a wide variety of apps, ranging from games to utilities to straight up oddities. Running ICS, the One VX is about one full version behind, which isn’t old enough to run into many compatibility issues. 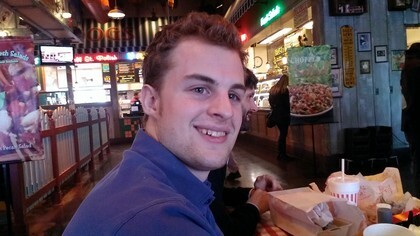 However, we did encounter a few in-app quirks, most notably with Facebook. Whenever we liked a friend’s post in the News Feed, our ‘like’ would not show up when we viewed that post on their timeline. We’re not sure of the cause of this inconsistency, but it could be that the ICS version of Facebook is not receiving as much attention as the JB or iOS 6 versions. As far as app performance, the more power hungry apps you encounter will give the VX’s dual-core a run for its money. 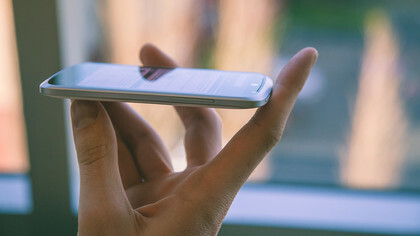 Expect noticeably increased loading times when compared to Android 4.1: Jelly Bean as well as stuttering if and when the machine attempts to multitask. It’s capable of playing basic games very well, and the more advanced if you give a little patience. 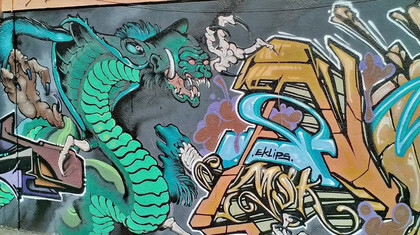 The HTC One VX has a five-megapixel snapper that takes some pretty average snaps. Like most cell phone cameras, it does its best work outsider in bright, even light. Indoor shots give it the most trouble, as does uneven light. 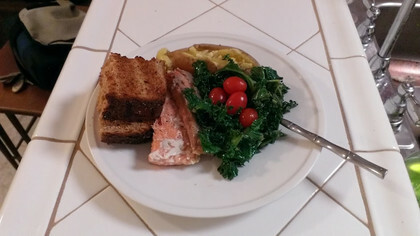 It has a slew of options, such as light-enhancing HDR, to help improve picture. 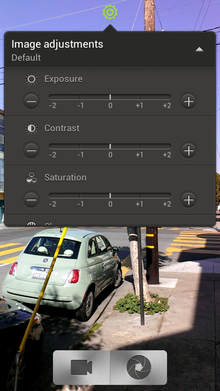 You can also get very precise with the settings, thanks to manual exposure and contrast adjustments. 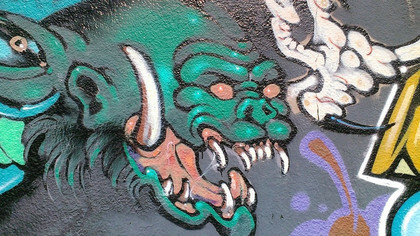 Obviously, a 5-megapixel snapper is not going to replace anyone’s dedicated camera, not even a basic point-and-shoot. 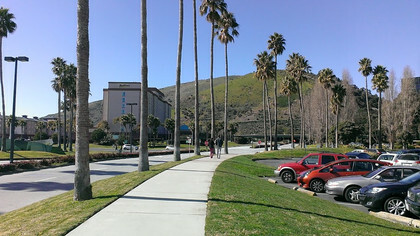 While the One VX’s lense performed poorly indoors, we were pleased with its outdoor work. We’d call the One VX’s camera completely average. Nothing to write home about, but not a detriment either. If you sign up for a two-year contract with AT&T, the One VX is yours for a penny, one red cent. You can’t argue with that price, but off contract it’s a lot steeper, $400 steep, to be precise. So it’s affordable, but has too much been sacrificed to make it affordable? As we mentioned, the on-contract price. Enter into a two-year agreement with AT&T and the One VX is basically free, but that doesn’t mean you have to use it for two years. If you need a phone right now and can’t afford much, the One VX is a fine stop gap until you can afford something better, but your bank account would be better served by using that new contract discount on a higher end device, like the HTC One X+, Galaxy S3 or iPhone 5. Battery life on the One VX is perfectly respectable. With moderate use it had no trouble reaching the making it through the day and the next morning. Heavy use still won’t have you reaching for the charger until well after the sun has set. This is a phone with an all day battery, something that can’t be said for HTC devices like the One X+, One X or Windows Phone 8X. If you value battery life over snappy performance, the One VX is a solid choice for you. 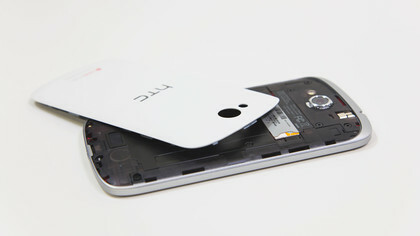 Then there’s microSD support, another feature few HTC phones can claim. The One VX only has 8GB of onboard memory, so the phone would be worthless for apps and media if not for the 32GB SD card support. And nothing goes better with ample storage space than nice music support. 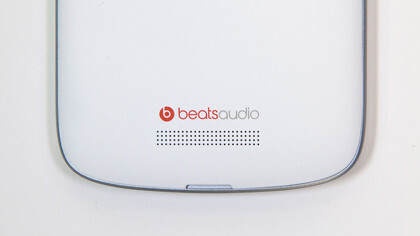 Beats Audio provides a solid mix, ensuring that your music is loud and bassy. It’s not professional level audio engineering, no matter what Dre says, but it’s on par with the iPhone 5. Next, the display on the phone is nice, for the price. 540 x 960 is not HD, but images and videos on the One VX are less pixelated than on other phones of the same resolution, like the Ativ Odyssey. 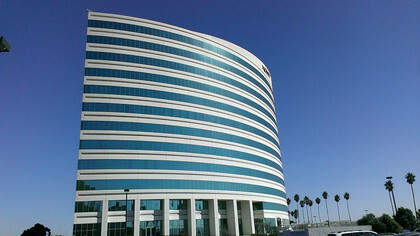 Score one for HTC engineering! We were also impressed with the One VX’s receiver, which did a very good job of canceling out ambient noise. We made phone calls at busy intersections and our friends on the line could only the loudest junkers rolling by. We were impressed. While we’re not crazy about the look of it, HTC’s Sense UI has some nice features. It does an excellent job of juggling contacts from multiple sources, and its keyboard has a pretty good predictive text function. We still recommend a third-party keyboard though. 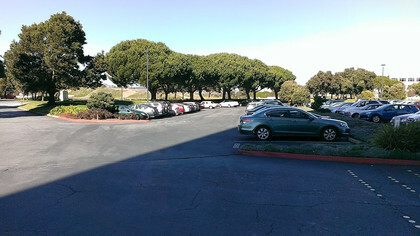 Lastly, the 5-megapixel camera is surprisingly competent outdoors. Low or uneven light gives it trouble, but otherwise it takes colorful and detailed shots, and the imaging software provides some fun options. Well, it’s a dual-core. While we have dual-core devices like the iPhone 5 and Droid Razr Maxx HD that can call themselves flagship devices, the One VX isn’t one of them. We has some sizeable load times with games, thanks to just 1GB of RAM, and multitasking made for stuttering and occasionally unresponsive applications. However, having dual rather than quad-core is likely why the One VX outperforms the One X+ in battery life, so pick your poison. We mentioned that the display is sharp. It’s also bright… to a fault. The auto-brightness controls routinely failed to bring the display down to a less than retina-searing level in dark restaurants and bars. This forces you to use manual adjustment, which is annoying and shouldn’t even be an issue. The One VX also exhibited a few quirks that we’re chalking up to the aging Android 4.0: Ice Cream Sandwich OS. 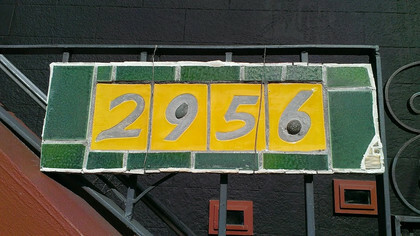 We had issues with our Facebook ‘likes’ not showing up. That’s a problem, because if we can’t throw our hat in the ring over whether or not someone’s pictures of tacos is "totally yum," then what good is a smartphone? We also frequently received doubles of incoming text, which might be a carrier side issue. Speaking of carriers, AT&T has become downright annoying with its lack of Android 4.1: Jelly Bean upgrades for HTC devices. The One VX is one of several devices AT&T has promised to update, and then shrugged as its own deadline whooshed by. We find this lack of support disturbing, AT&T. Finally, the One VX just feels kind of cheap. We’ve often complained about overly-plastic phones, and the One VX is definitely pushing it. The worse part of the build would have to be the on/wake switch and the volume rocker. They’re both way too flat, making them hard to find and press. 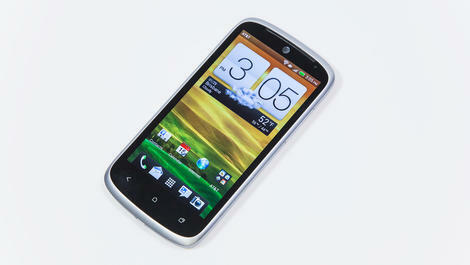 The HTC One VX is a great option for someone who wants just the basic functionality of a smartphone. Email, web access, light media and gaming on the go are all well within its reach. 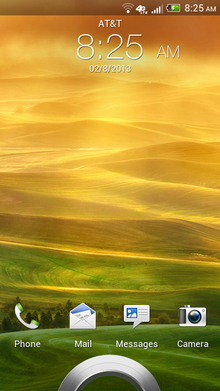 AT&T’s coverage isn’t blazing fast everywhere, but we never had to search for a signal. That combined with respectable battery life makes the One VX a dependable, if bland, device. If you can pick up the HTC One VX as a free phone with your two-year agreement, and what we described above is how you intend to use your phone, then you’re a perfect One VX contender. However, If you’re looking at a $400 price tag, or need a phone with more muscle, we implore you to spend the extra scratch on a quad-core device, or an iPhone 5. The One VX is a good deal, but it’s not future proof. The fact that its been out for months and is still running Ice Cream Sandwich, not Jelly Bean, doesn’t bode well for its future. This is a phone for smartphone dabblers, not smartphone enthusiasts.